Red Juice – something for those who don’t like it Green. | Life is short,have fun!!! Red Juice – something for those who don’t like it Green. I am still experimenting with my recent discovery of the great power hidden in fruits and vegetables. Whether it is for weight loss or just healthy living, you can’t underestimate the power of a healthy drink included as part of your meals daily. 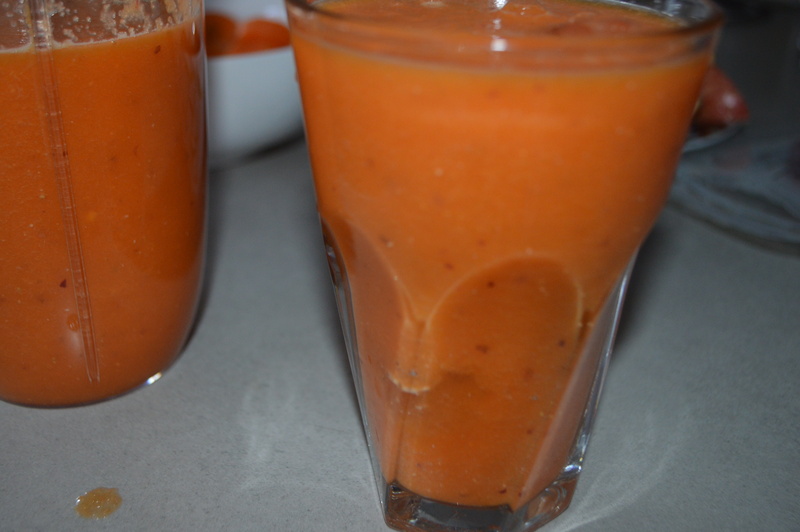 I use the NutriBullet -Magic Bullet which i have found to be quite good in processing veggies or fruits. Warning: I am not a health expert or nutritionist, so consult your doctor if you are allergic to any of the items used. 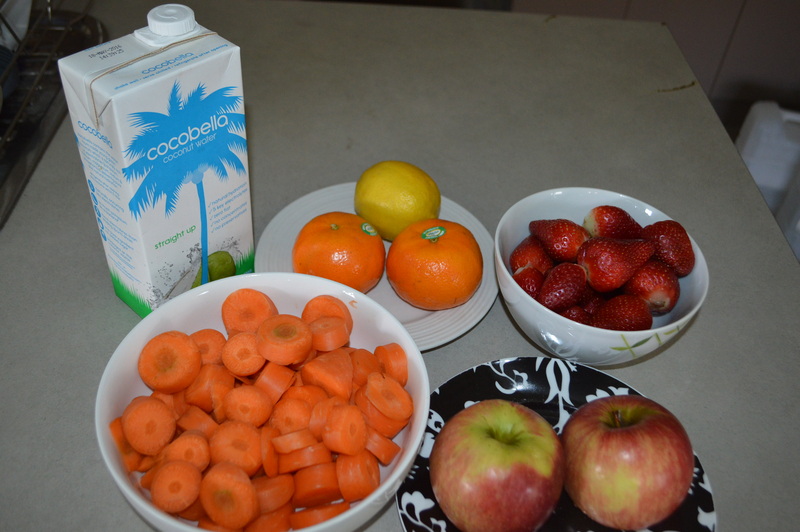 Carrots, Red Apples, Strawberries, Mandarin/Tangerine, Lemon & Coconut Water. 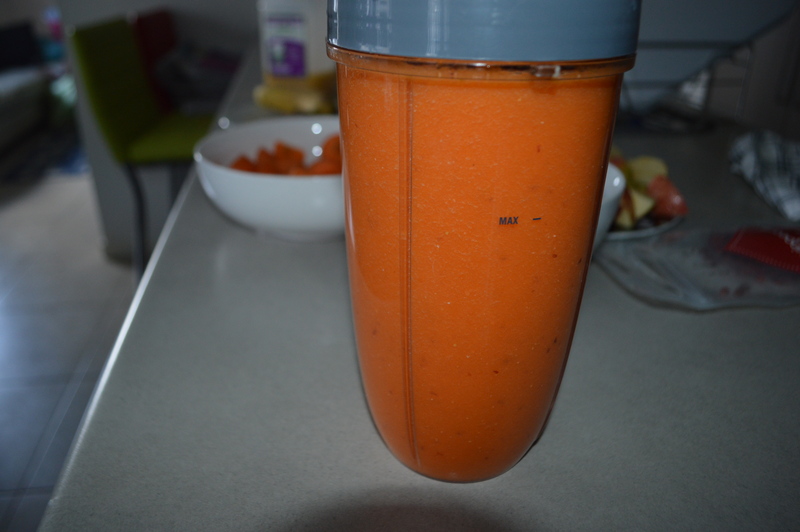 Carrots, Red Apples, Strawberries, Mandarin/Tangerine, Lemon & Coconut Water in a tall cup of the Nutribullet. Fill with water & coconut water to max line. Serve on ice , sit and enjoy.